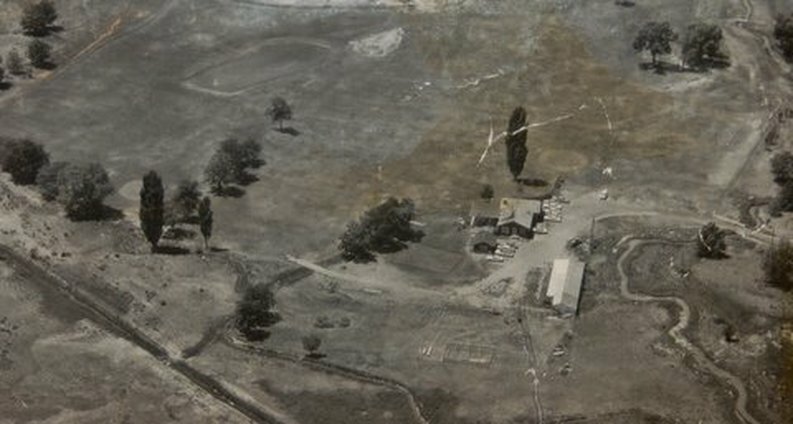 From it’s humble beginnings in 1926 when the fairways were mowed by sheep to the championship course of today, the Jerome Country Club has undergone some unique changes. The original course was the brainchild of some of Jerome’s earlier business leaders and was pretty stark at the beginning to say the least. The nine holes meandered out through the lava outcroppings and was bordered by the Snake River canyon and the ever present native sagebrush. The borders of the course were enclosed with an electric fence which kept the sheep out until it was time to “mow”. Local players learned to hit the ball straight as the neighboring sage was the home to a goodly population of western diamondbacks! The greens were small, mostly rectangular, and raised about eighteen inches to accommodate the flood irrigation system that kept the course greener than the surrounding desert. Over the years the course changed due to the efforts of the members and the annual work day when all kinds of projects were dealt with. One of the major tasks was the covering of the lava pressure ridges that dotted the course. Members would haul in dirt to cover the intrusive beds and eventually the course had the “parklike “ look that was desired and the maintenance crew could mow the course “border to border”. The rock that was gleaned from the outcroppings was also put to good use with the “rip-rapping” of the stream that winds it’s way through the course. In 1980 a new nine was added through the insight of several of the older members. An association was formed and the back nine was built through what was to become an active subdivision. Ed Hunnicut was the designer and builder, and with his guidance created a course that was far different than the front nine. Where the original nine was more old style with straight tree line fairways and small greens, the “new nine was built with larger, more undulating greens, and the fairways were mostly dog-legs as the worked their way through the eventual homesites. Where the front nine was relatively flat, the new addition had some marked elevation changes that called for more variety in the shots that were required to traverse the incoming nine. The original “clubhouse” was just a shack that took care of the needs of the daily golfers. At the end of World War ll, renovated barracks from the Japanese internment camp at Hunt made up the new clubhouse. Eventually another was added and the result was a full restaurant and bar that hosted many lively golf functions and special events. In 1998 the old clubhouse was razed and a new and modern facility took it’s place. The current clubhouse boasts amenities from the pro shop to the full service bar and restaurant. The surrounding patio and lounge area are popular in the warmer months for dinners and just relaxing.